A revolutionary app that gives you an opportunity to paint without hands. Have you ever tried to draw by just moving your head? 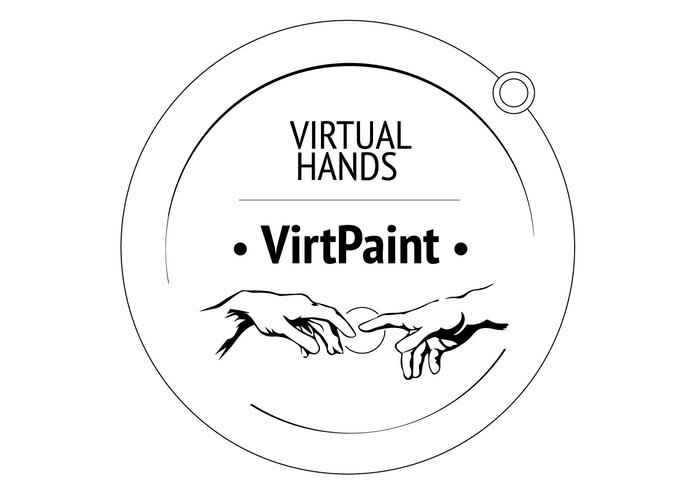 «VIRTUAL HANDS: VirtPaint» - new trend in creation & painting, within a beautiful and meditative virtual environment. 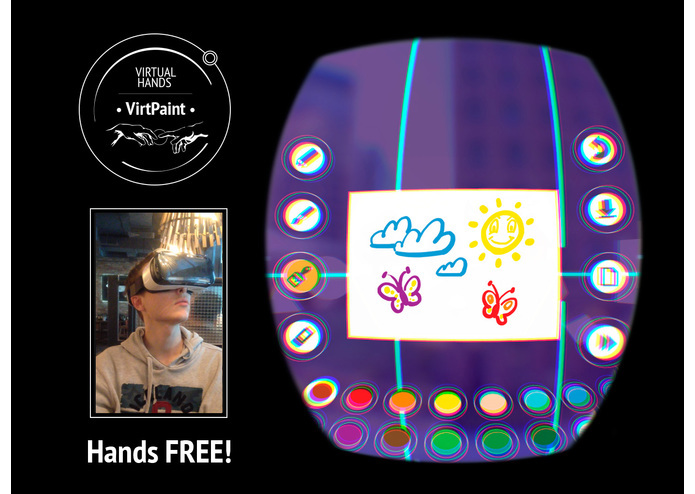 VirtPaint offers an outstanding opportunity for over 100,000 people around the globe, who don't have the ability to draw by hands, to paint and see their paintings come to life. Hands free, no need to use touchpad or controller. Head tracking only. Easy to use! You are an artist. 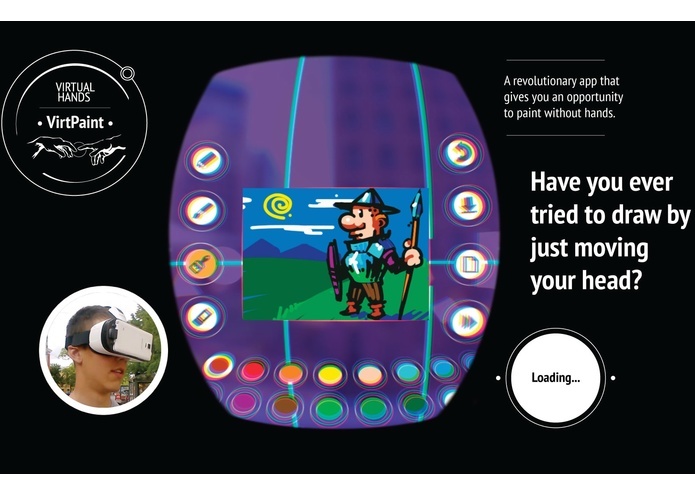 Use your head movements as a virtual hand holding a brush to create digital art. Share your artwork with your friends and family. 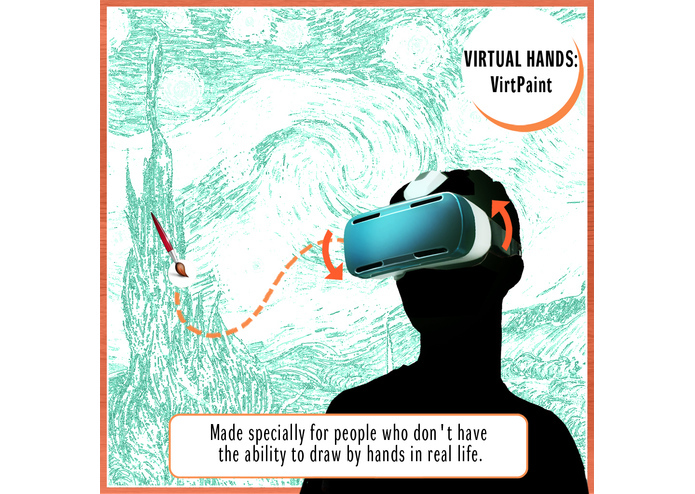 «VIRTUAL HANDS: VirtPaint» made specially for people who don't have the ability to draw by hands in real life. We believe VirtPaint will open up a new world of possibilities for people with disabilities where they just requir head movement to create beautiful paintings. 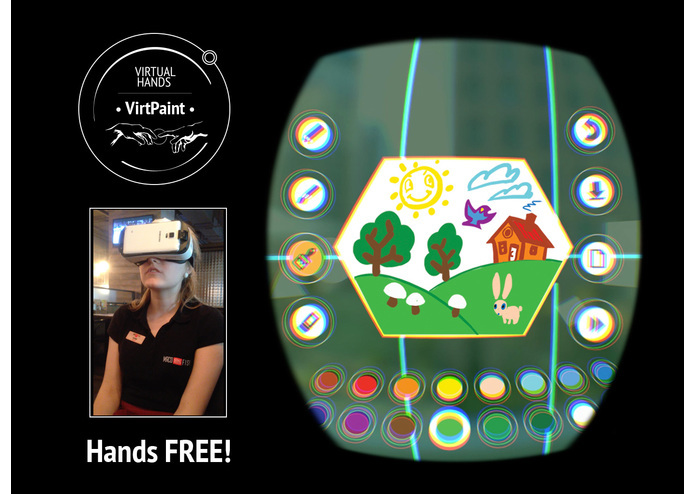 VirtPaint is a new, interesting and relaxing experience for all types of people. 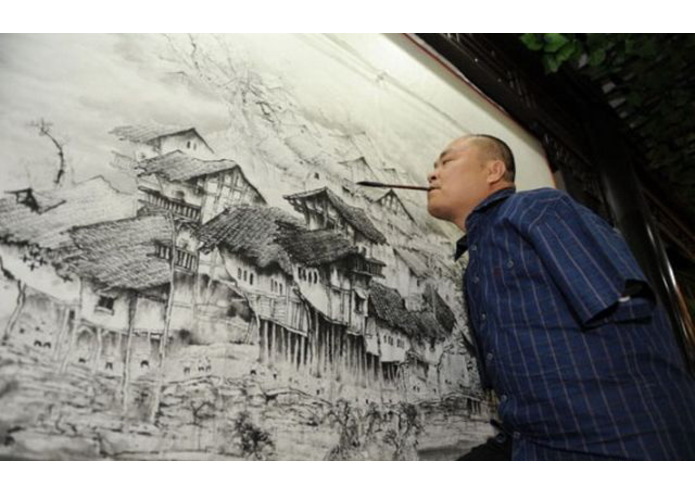 Hundreds of thousands of people do not have a chance to draw. Our mission is to give such an inclusive opportunity for these important members of our society, to feel unlimited possibilities to draw as an artist with virtual paints, canvas and brush. New way of intuitive drawing. 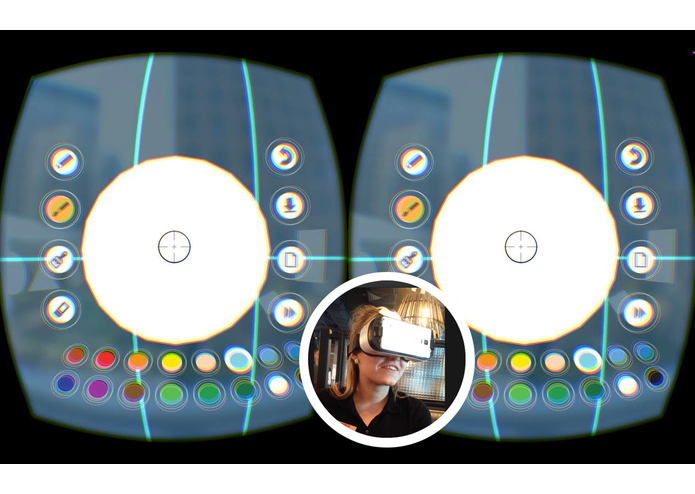 UI made specially for head tracking only. Choice of different colors and music to set the mood. 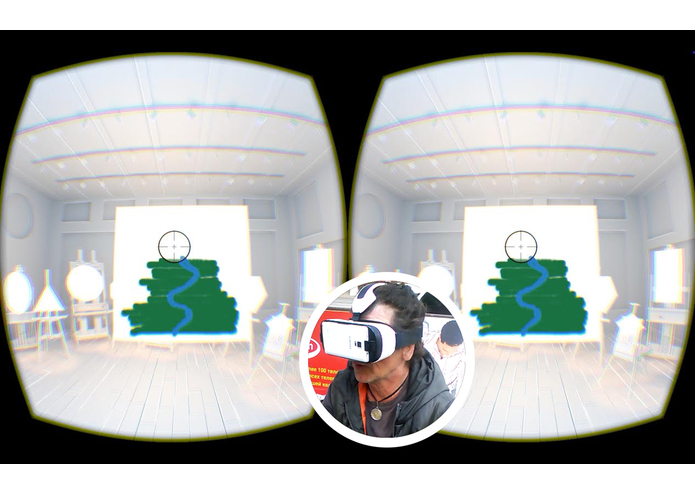 Support VR Application for special people. Our goal is to create series of projects for those amongst us who don’t have the use of physical arms. 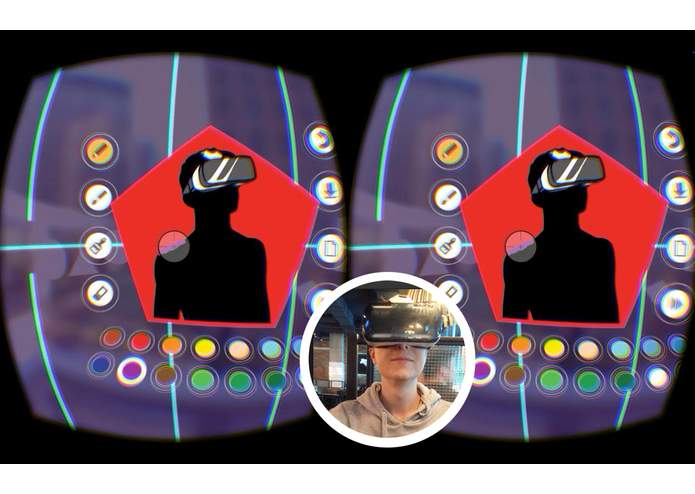 We could help them with Gear VR and a series of our Support Applications «VIRTUAL HANDS: VirtPaint» : VirtMusic, VirtArchitecture, VirtReader, etc. Support us.